Party leaders have argued that their fates were sealed by the higher turnout that’s common in presidential election years. And they point to Hurd’s re-election in Texas' 23rd Congressional District as an important milestone for their diversity efforts. 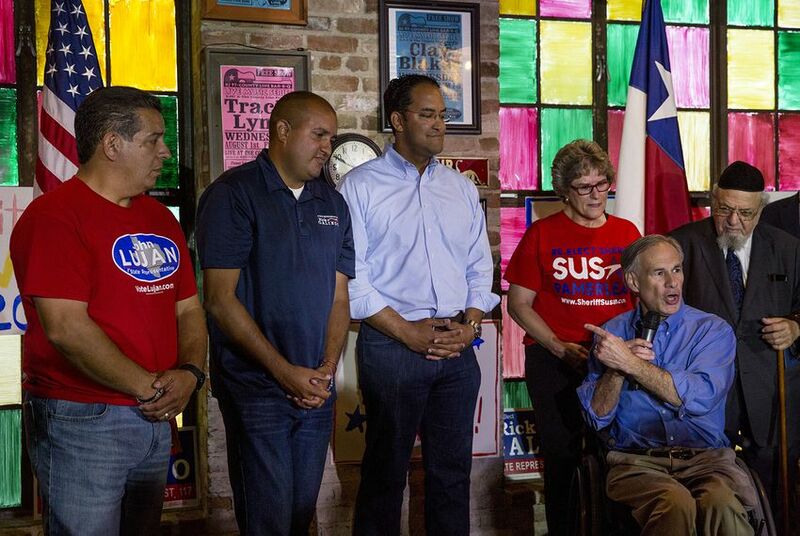 "Nobody thought two years ago that the black dude could get elected in the Hispanic district," Hurd said as he kicked off his re-election campaign in July. "Nobody thinks that a Republican can hold a 50-50 district in a presidential election year." “We continue our efforts to reach out to the diverse communities here in the state of Texas,” Abbott said, “and that's something that I championed during my campaign last time and will again this next time." "We could’ve really done some good things in the Hispanic community if it weren’t for this Trump effect," said Artemio "Temo" Muniz, Texas chairman of the Federation of Hispanic Republicans. Muniz, who was Peña's campaign manager in 2014, lamented how Trump's toxicity is causing Texas Republicans to potentially lose "great, great stories that the GOP could build on." "When you speak to these guys, their campaign guys or party guys behind the scenes, they all say, 'Hey, it's Trump,'" Muniz said. Republican incumbent U.S. Rep Will Hurd and Democrat Pete Gallego battled it out in a sprawling, idiosyncratic district. As Texas Democrats pick up the pieces of the 2016 election, a single-digit margin in the presidential race here and a few legislative victories don't offer much comfort. The latest election returns showed Democrats picking up four seats in the Texas House.